Every time you pick a vegetable from your garden for a nutritious dinner, collect mint for a stomach-calming tea, or decorate your home with flowers for the holidays, you are participating in an ancient ritual as old as mankind. That bond to the plants you cultivate and gather is a vital piece of human culture, present in every reach of the earth and stretching back to prehistoric times. When a group of people discovered a new home they immediately began experimenting with the plants surrounding them. What do we build with? What do we eat? What is medicine? What is poison? They combined what is already known with a little experimentation, and came up with a way to thrive in a new environment. And of course, all of this expertise and experimentation gets passed on to their children. They in turn tweak the knowledge, experiment on their own and hand this knowledge on down the line. This is the legacy of the human-plant relationship. Over the millennia, this process of botanical studying, experimenting and teaching has led to this rich heritage we see today. The collective wisdom of traditional communities, now combined with the understanding of the scientific community, has given us extensive and constantly evolving information. This “ethnobotanical” knowledge is our security system as a species. And this security system is threatened like never before. Habitat destruction due to mining, logging, development and agriculture is decimating whole populations of plants. Beyond that, widespread pollution and global climate change ensure that no ecosystem is fully protected from destruction. Not only are medicinal and useful plant species going extinct, but also disappearing is the knowledge of how to use these plants. As we homogenize as a culture and give up on this specialized insight, our resilience in the face of evolving diseases, physical needs and desires is lost. We can’t predict what our future threats will be. What is clear is that the more solutions we have at the ready, the more resilient we are to inevitable change. Many of us live a life buffered from change. Widespread extinction may not be noticed until it impacts our grocery stores. We learn about global issues mainly through the news, schools and science. Although we are a part of the global community, there are many layers of protection, or at least a delayed impact. Other communities around the world experience first-hand the loss of biodiversity. These people rely on the plants growing in their gardens and forest to clothe, feed and heal their families. If these protectors of plant knowledge abandon one healing plant recipe, that cure is lost forever. Be they shaman, herbalists or wise grandparents, all are fighting this loss in their own ways. Each one, tucked away in their own corner of the globe is using that great skill of innovation to develop new ways of documenting, protecting and sharing their knowledge and seeds. These are the people that hold the most vital expertise about using plants for resilience. They are the keepers of past solutions and the ones with answers to future problems. So we asked ourselves, what can we, in our buffered situation, do to assist these communities? Well, we can assemble a team of people who not only care about these issues, but have experience studying plants, health systems and traditional culture. By using all of the technologies available to connect these communities to each other and to the larger global community of problem solvers, we can get the word out to the world that everyone has a stake in this game and everyone has an opportunity to help. And so Sacred Seeds was created. The program seeks to establish a network of sanctuaries, or living gardens containing medicinals as well as plants of ceremonial, food or craft importance. Supported by New Chapter Vitamins, the 17 gardens currently in existence are as diverse as the cultures and plants on earth; with locations in Costa Rica, Peru, India, the United States and Madagascar. These gardens provide the unique opportunity to investigate the preservation of diverse ecosystems and plant knowledge. By enlisting local expertise, resources and unique skills we are able to create useful, pragmatic, sustainable solutions. And our mission is to spread these solutions globally. Two communities living in vastly different cultures and climates may nonetheless be struggling with similar problems. Sacred Seeds exists to foster a conversation amongst them, to elevate all of our efforts to a higher level. One common area of concern is finding an effective method for passing information on to the next generation. Each sanctuary has a method tailored to their community’s needs, but we see so much in common in the approaches. The Dakota People of Crow Creek Indian Reservation in South Dakota have arranged their Sacred Seeds sanctuary as a medicine wheel, bringing cultural significance throughout the design itself. This design serves as a classroom, gathering all their important plants in a place appropriate to pick, smell and tell stories as a group. Similarly, the sanctuary at the Chan Chan archeological site in Northern Peru has enough shaded benches for the local students to all work on their ethnobotanical projects as a group. Our sanctuary in the remote state of Ambalabe, Madagascar has adapted this idea by establishing their sanctuary at their community education center, seamlessly integrating plant use education with their community health and conservation events. Every idea, from cooking classes to ecological research, gets bounced around the globe, tweaked by botanist, grandmother, healer, sustainability director, farmer, and teacher. As these communities have taught us, conserving useful plants and traditions is more than writing down recipes and sending seeds to a vault. It’s supporting a community’s sense of identity in all of its myriad ways. It’s allowing ideas to evolve beyond our imaginations. And it’s recognizing that gardens have potential far beyond the plants in the ground. They are ancient classrooms, innovative laboratories, nutritious food pantries and welcoming community centers. We realize that there is no single solution to all of our problems. Our diversity of cultures, plants and solutions is only matched by the variety of possibilities for the future. 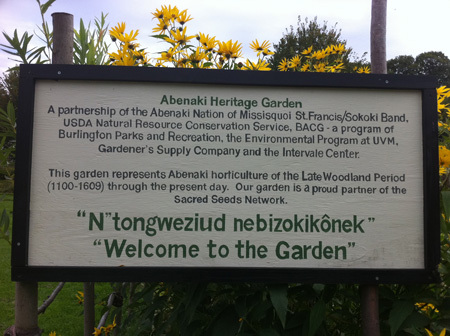 And so we honor the diversity of the world through our diversity of Sacred Seeds Sanctuaries. Photo credits: Top, Tom Newmark; Left, Alyse Kuhlman; Right, Charlotte Trowbridge, Remaining photos, Ashley Glenn. Ashley Glenn is a research specialist at the William L. Brown Center at the Missouri Botanical Garden and manages the Sacred Seeds program. She brings her experience on her family’s farm, in the vitamin industry and a degree in botany to her work with Sacred Seeds, coordinating conservation and cultural preservation efforts on a local level worldwide.